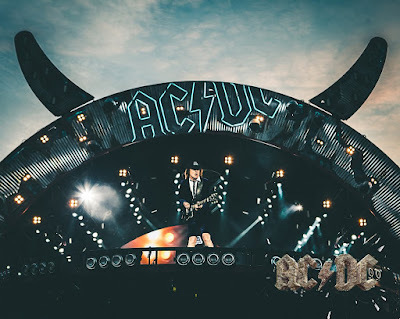 Axl Rose performed his fourth concert with AC/DC on the Rock Or Bust tour in Werchter, Belgium on May 16 and video from the event is available. The shows followed Rose’s debut in Lisbon, Portugal on May 7 and follow-up concert in Seville, Spain on May 10. Rose continues to perform confined to scaled down version of a throne on loan from Dave Grohl after breaking his left foot during Guns N’ Roses’ April 1 club gig at The Troubadour in Los Angeles. The band will next perform in Vienna, Austria on May 19.